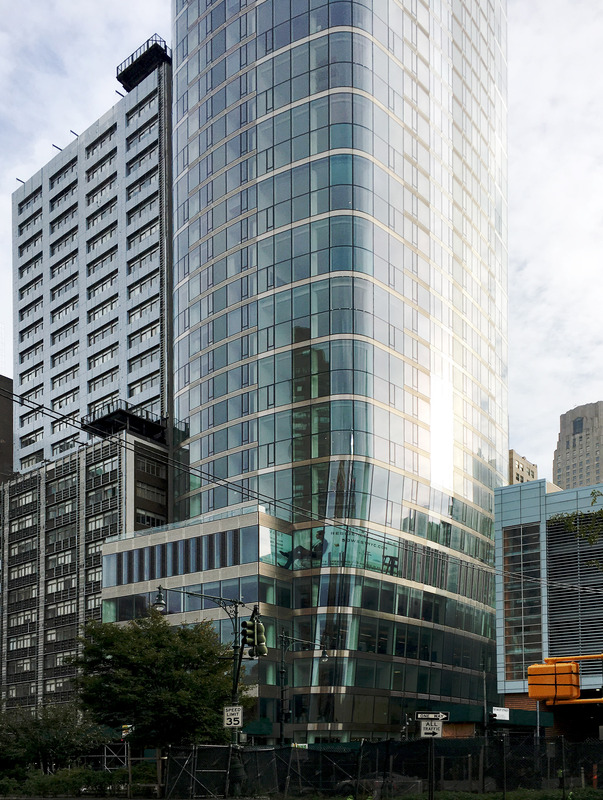 Among the new residential towers in Lower Manhattan, 50 West Street has been one of the longest in the making, with plans for the Helmut Jahn-designed project initially conceived prior to the Great Recession. YIMBY most recently featured renderings of an adjacent pedestrian bridge in August of 2016, as well as an update on the almost-complete tower in February of this year. While the interiors of the skyscraper have since been finished, progress continues on the adjacent ground-level work, including the West Thames Street Pedestrian Bridge and a public plaza, both of which will improve the area’s walkability tremendously. 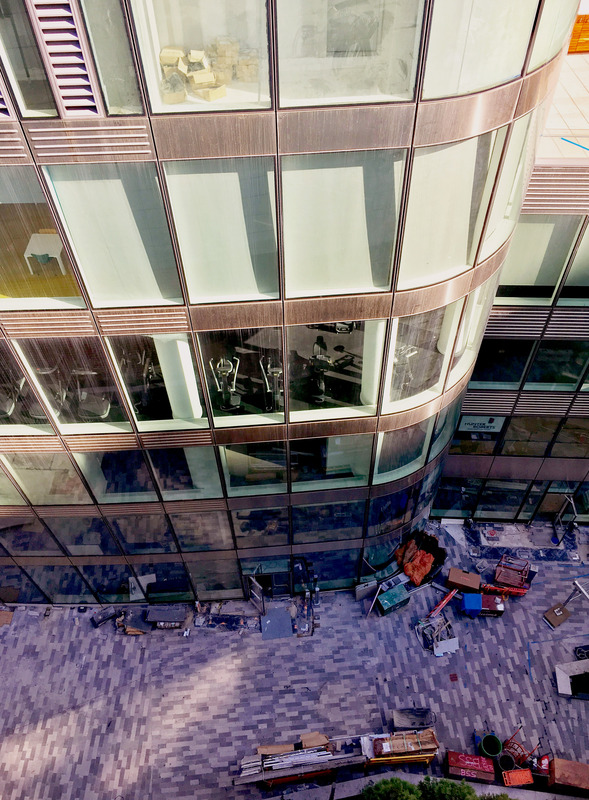 Residents have begun to occupy the 191 units spread over 64 floors, and the remainder of the tower’s unsold inventory is being converted into rental apartments. 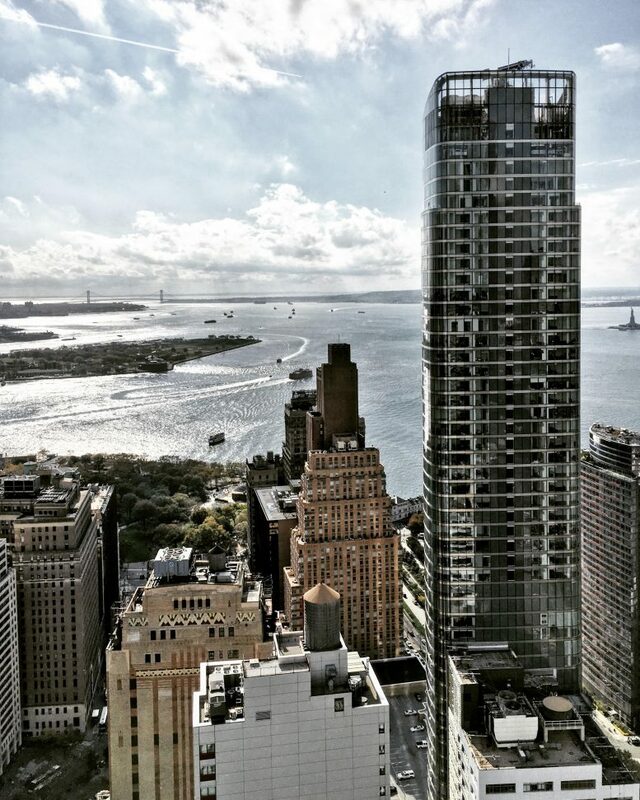 The building itself stands 783 feet to its rooftop, and was developed by Time Equities. The western side of the future pedestrian bridge with form-work of the staircase nearing completion. Meanwhile, the new pedestrian bridge that will span West Street, connecting the Hudson River Greenway to the new public plaza, is currently under construction. Last year, they began clearing parts of the site to make way for the new staircases and structural support columns. The new bridge will officially be named the West Thames Street Pedestrian Bridge, and is being designed by WXY Architects in conjunction with engineer consultant Weidlinger Associates. It will eventually replace the Rector Street bridge, which is still in use today. The actual construction and assembly of the bridge will not begin until the concrete pours for the stairs and columns are complete. Funding and support for the construction is being provided by the Lower Manhattan Development Corporation, and the Battery Park City Authority. View of 50 West Street. The pedestrian bridge will eventually rise above the photograph and stretch across into the space between the residential tower and the parking garage to the south. Finally, the public plaza of 50 West Street will be nestled in between the front of the residential building, and the north wall of the Battery Parking Garage. Providing new green space, a cafe and seating, the plaza will also give people the benefit of a safer means of travel when walking between West Street and Washington Street. 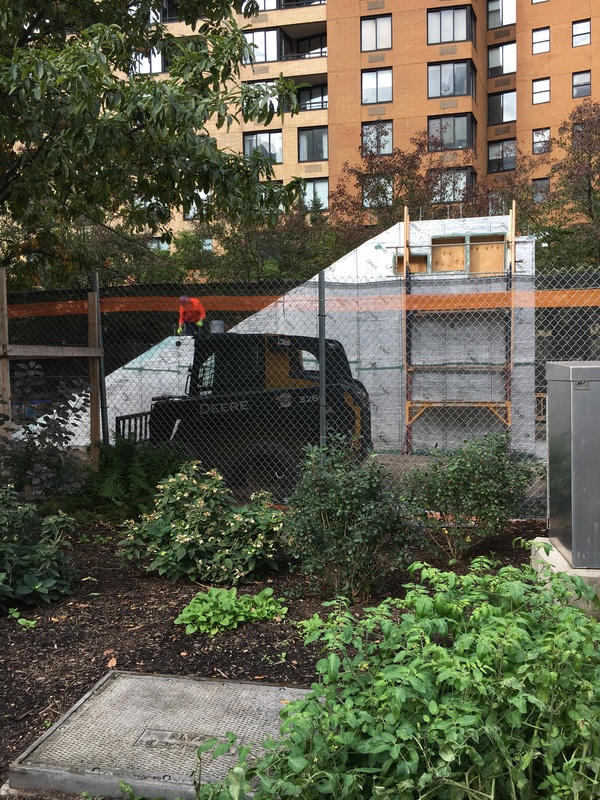 Currently, pedestrians must trek under the parking garage through a narrow slip of construction barriers and fencing along Joseph P Ward Street if they want to either access the garage elevators, or continue walking to the east. The plaza of 50 West Street in progress. Seating and planting will eventually follow next year along, with the ongoing construction of the West Thames Pedestrian Bridge to connect on the south side of the plaza. The entirety of the project should be complete by the end of 2018. 1 Comment on "50 West Street’s Pedestrian Improvements Nearing Completion"